Venta del Barón. 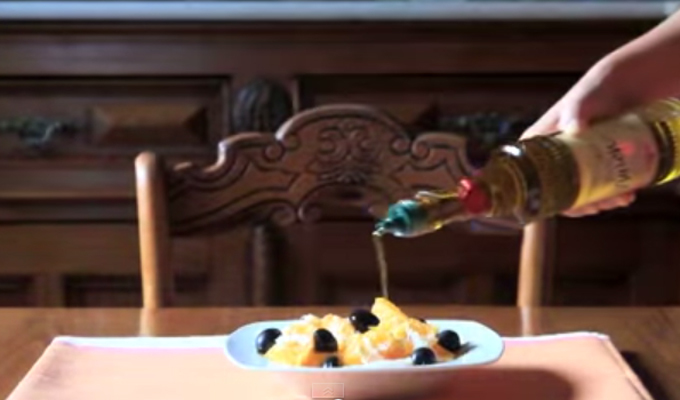 The best Extra virgin olive oil around the world? In the heart of Andalusia the Designation of Origin Protected Priego de Córdoba is established, with a not really wide extension of cultivation, hardly 30000 hectares of centenary olive trees, integrated partly in the Natural Park of Sierras Subbéticas. These extraordinary characteristics, with a microclimate unique, allow getting high quality olive oils. With a unique character, worthy of international recognition as it is Venta del Barón. 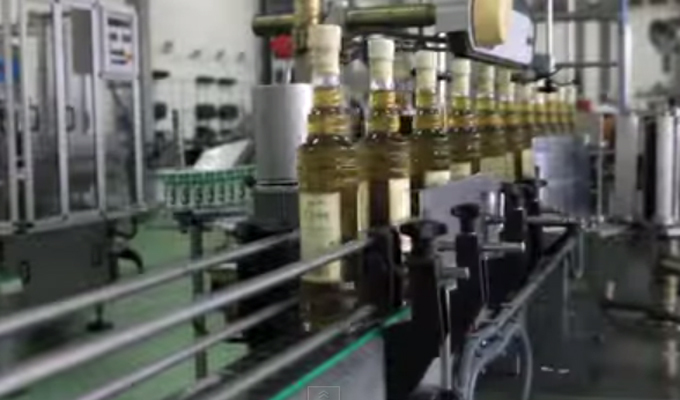 As part of the olive oil tradition, since 1942, in "Mueloliva" this olive oil is produced and sold. The origins start in a traditional cold pressing mill. With this method, an olive oil is started to be produced and over the years it would become one of the eight top quality olive oils around the world, the Extra Virgin Olive Oil Venta del Barón. Three generations have been already working, mantaoning and enhancing their properties, pioneers in technology with the most innovative advances in production, taking advantage of natural and energy resources. With a careful handling of raw materials and classification of the different varieties of olives, and the most significant advances in packaging, packing and storage in order to get this olive oil as an essential ingredient of the Mediterranean diet, both in the national and international market. With herbaceous notes, peppermint, almond shells, banana and apple, its tasting takes us into an intense fruity green olive. Reminiscent of vegetables such as tomatoes and artichoke. The entrance is sweet, slightly bitter and spicy in progress. The aftertaste is nutty. Very complex, balanced and harmonious in all its gustatory olfactory attributes. It is ideal for seasonings salads of all types (green, tomato-mozzarella, pasta), the master touch on grilled vegetables (asparagus, eggplant, courgette), pasta and fish; in short, any dish from our delicious and healthy Mediterranean gastronomy. 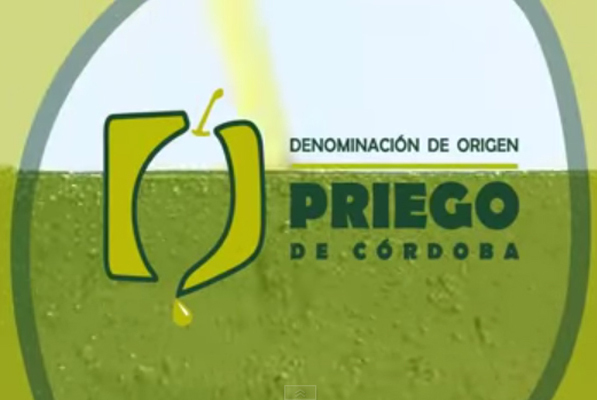 The Extra Virgin Olive Oil DOP Priego de Córdoba, is obtained from the varieties Picual, Hojiblanca and Picuda, with particular emphasis on the variety Picuda, specific to this area and protected by the Protected Designation of Origin Priego de Córdoba. The Picuda, also well-known as carrasqueña de Córdoba, is the most emblematic of Córdoba. The olive three has a dark color, foliage dense and difficult to collect by its resistance to dropping. The ripening time of the fruit is between the fourth week of November until the end of December, and the oil yield is high, without reaching the values of the picual, but hovering around 20%. This variety is also widely used for table olives. With an excellent balance and sweetness, without harsh flavors. Sometimes you can find light flavors and aromas reminiscent of exotic fruits, apple and almond. 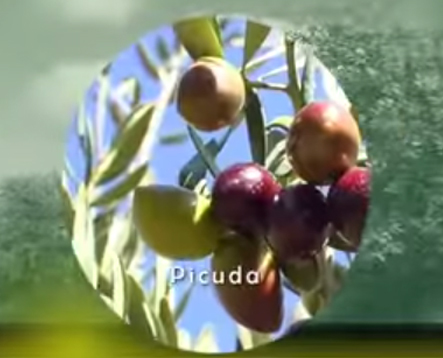 Beacuse of his fatty acid composition, the picuda variety is placed in the sensitive range of olive oils to oxidation, so it is complemented with other varieties such as picual. According to the legend, the Baron of Santaella was condemned by Enrique III to build himself Malmuerta tower because the death of his wife, to whom he killed in a burst of jealousy. The descendants of the Baron, dispossessed of the title, got settled in the Sierra de Priego and dedicated to the cultivation and milling of the olives for generations, extracting from them a slightly, sweet and fruity extra virgin olive oil. Los descendientes del Barón, desposeídos del título, se instalaron en la Sierra de Priego y se dedicaron al cultivo y la molturación de las aceitunas de la sierra durante generaciones, extrayendo de ellas un aceite de oliva virgen extra, dulce, ligeramente afrutado. So fantastic was the quality that the king himself, when he tried it, he decided restore the title of "Baron". Ancient olive settle the mountains of Natural Park Subbética de Córdoba, occupied throughout history by Romans and Arabs, in the heart of Andalusia and enjoying a unique microclimate, allowing cultivate an olive grove over 650 meters with olive trees Picuda and Hojiblanca. With hardly 30,000 cultivated hectares, between water, light and taste of authenticity is where the Designation of Origin Priego de Cordoba is locked. These unique characteristics have as result the production of olive oils deserving international awards as it is the olive oil Venta del Baron. 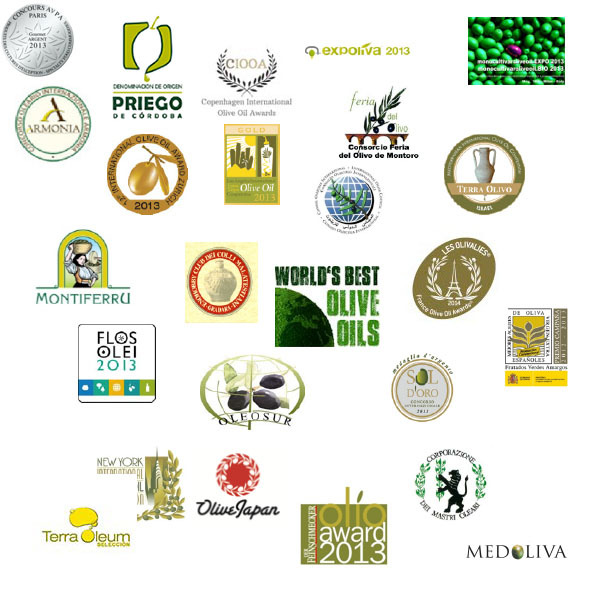 The Regulatory Council of the Protected Designation of Origin Priego de Córdoba monitors the quality of all oils under their names and especially the extra virgin olive oils, and thanks to the organoleptic characteristics this product head the Mediterranean Diet. 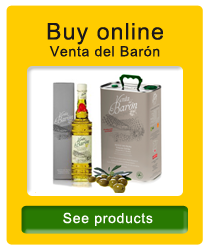 Venta del Baron is a Extra Virgin Olive Oil certified by the Regulatory Board of the Designation of Origin Priego de Córdoba through a control and careful sensory analysis, backed by international certificates to the highest level. In every season, the harvesters pick up by hand a selection of the first green olives, Hojiblanca and Picuda varieties, overtaking his fall, in the optimum ripeness moment when the olives become from green to purple. 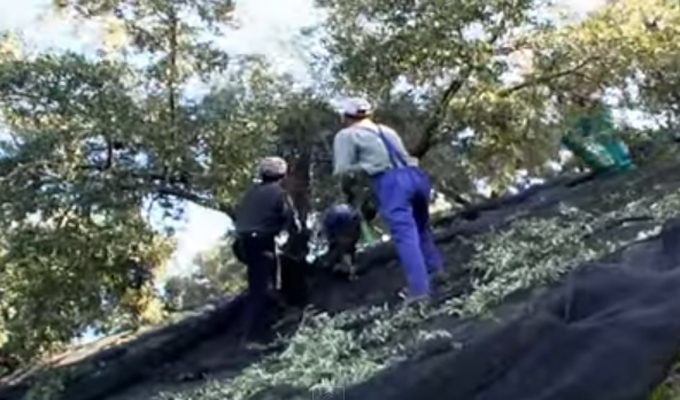 In the shortest time possible, to preserve their aroma, olives are loaded to take them to the mill. To not to damage the fruit with the weight, olives are loaded in special boxes after harvesting from the extended bundle where the olives fall during harvesting. This harvesting technique, that many harvesters call "brush", also known as respect and wisdom by many others, with almost 3000 years of history behind. Skill and knowledge gained in many years of tradition olive oil. After the harvesting journey, the final destination of each day during this period is the mill of Muela in the town of Priego de Córdoba. 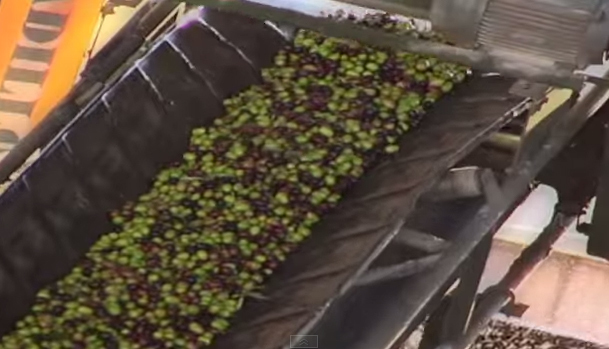 Through the conveyor belts, the fruit is cleaned of dust and leaves, to be grinded. For extraction of this precious juice, grinded is processed by cold pressing, reducing the extraction time and selecting only the best of olive oil, as it is indicate by the strict standards of Designation of Origin Priego de Cordoba. To preserve all its aromas, milling occurs a few hours after harvesting (maximum 15 hours), and without using any chemical process, thus ensuring a premium olive oil. Hammer mills "Mueloliva" milled separating the fruit skin, flesh, bone and almond with the cadence and timing necessary to facilitate the extraction of the oil pulp without losing natural qualities. As a result, a dense and bright olive oil that only represents 10% of what other systems can extract. All the technology of modern mills is dedicated heart and soul to extract 90% of the remaining oil in the pulp. Venta del Barón has its original juice, after 15 days of rest in decanting containers in order to precipitate solid waste. From the amphoras of the Phoenicians until today, olive oil has known a thousand forms of packaging. Venta del Baron olive oil is contained in the most inert and ecological beautiful to contain the olive oil, blown glass and molded to adorn the presence and color of the best oil. In the cellar, the oil is stored in stainless steel tanks, keeping it insolated, in order to be perfect at the time of packaging. - 2015. 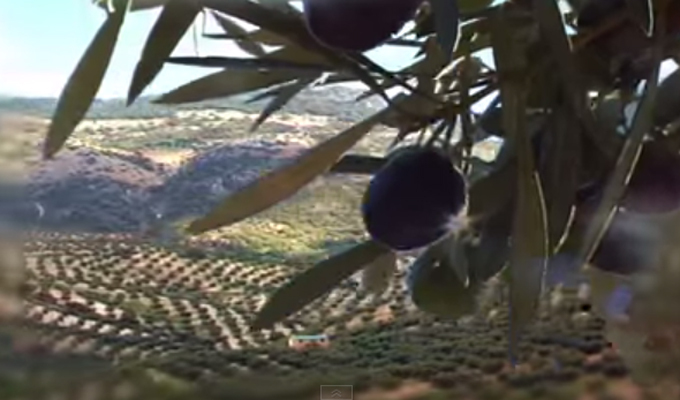 First and second prize World's Best Olive Oil, 2014-2015 harvesting. - 2014. Gourment d’Or dans la catégorie Fruité Vert Intense. - 2014. Medalla de Oro en la XVII Edición de los Premios a la Calidad del Aceite de Oliva Virgen Extra. - 2014. Prata en la categoría Frutado Intenso Verde Intenso "4 Concurso Internacional de Azeites Virgem Extra Premio Ovibeja". - 2014. Finalista de los Premios a la Calidad Aceite de Oliva Virgen Extra. Categoría Frutados Verdes Intensos. - 2014. Excellence in the category Intense in the ”Copenhagen International Olive Oil Awards. Mark: 9.1. - 2013. First Prize in the category Intense Green Fruitiness en "International Extra Virgin Olive Oil Competition For The IOC Mario Solinas Quality Award". - 2012. First prize in the category Medium green fruitiness en "International Extra Virgin Olive Oil Competition For The IOC Mario Solinas Quality Award". - 2001. Second prize in the category Intense green fruitiness en "International Extra Virgin Olive Oil Competition For The IOC Mario Solinas Quality Award". - Campaing 2013-14 PREMIO al mejor Aceite de Oliva Virgen Extra de producción convencional en la categoría Aceite Frutado Verde Amargo por "El Ministerio de Agricultura, Alimentación y Medio Ambiente". - Campaing 2012-13 Premio al Mejor Aceite de Oliva Virgen Extra en la categoría de Frutados Verdes Amargos. - Campaing 2011-12 Primer premio al Mejor Aceite de Oliva Virgen Extra en la categoría de Frutados Verdes Amargos. - Campaing 2001-02. Segundo Premio en la categoría de Frutados Verdes Amargos por el Ministerio de Agricultura. - Campaing 1999-00. Primer premio al Mejor Aceite de Oliva Virgen Extra en la categoría de Frutados Verdes Amargos. 9. Venta del Barón. 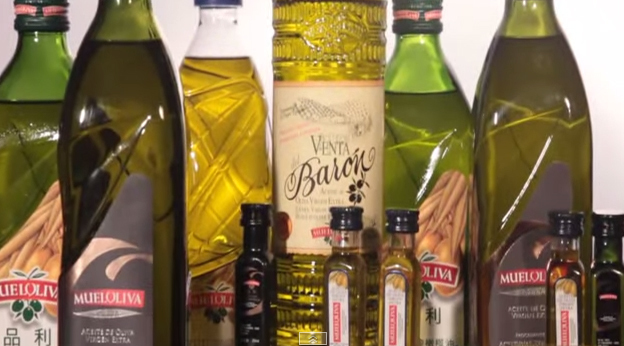 The best Extra Virgin Olive Oil around the world? The Mueloliva founder, more than 70 years ago, agreed with the thinking that the success in the olive oil is the perseverance of the tradition and craft ways, instead of a mass production without a severe control. Under this premise he showed how quality care end up with the best results. A pioneer and different project that involved a successful and visionary commitment by this entrepreneur from Granada. That was how he started to develop a unique olive oil that, over time, has become one of the best olive oils in the world and reference product in either national or international territory. The second generation arrives in 1975, having at that time with four mills. Under the brand "Mueloliva", in 1984 the company started to package their own olive oils. The commitment to innovation and the incorporation of new technologies coexisting perfectly with the traditional craft is one of the premises for which they achieved success.